It is very easy to become confused by the Booths’ relationships with the various Methodist denominations during the 1850s and 60s. At different times they were members of three separate Methodist bodies. The main body was the Wesleyan Methodist Church. Both William and Catherine were originally members of that denomination. In the late 1840s and early 1850s about 100 000 people broke away from the Wesleyans and they became known as the Methodist (or Wesleyan) Reformers. During this period William and Catherine were both expelled from the main Wesleyan Methodist Church for showing sympathy (in Catherine’s case) and being suspected of showing sympathy (in William’s case) for the Reformers. They both, independently of each other, then joined the Reformers. William’s early ministerial experience in London and Lincolnshire in 1852-54 was with this group. In 1854 William left the Reformers and became a minister in the Methodist New Connexion, a small denomination that had existed since 1797. 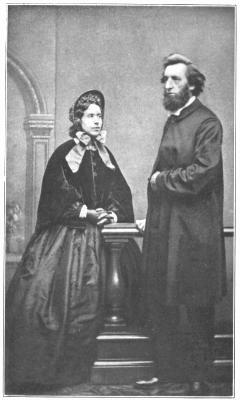 It was this denomination that William and Catherine dramatically left in 1861 to become independent evangelists.